Synopsis: At the turn of the century in a Welsh mining village, the Morgans raise coal-mining sons and hope their youngest will find a better life. Did You Know? Roddy McDowall had only been in the U.S. for two weeks before being cast in the leading role of Huw. Along with his mother and sister, he had been evacuated from Great Britain to keep out of harm’s way of Nazi bombardments. Quotables: HUW MORGAN: Men like my father cannot die. They are with me still, real in memory as they were in flesh, loving and beloved forever. How green was my valley then. 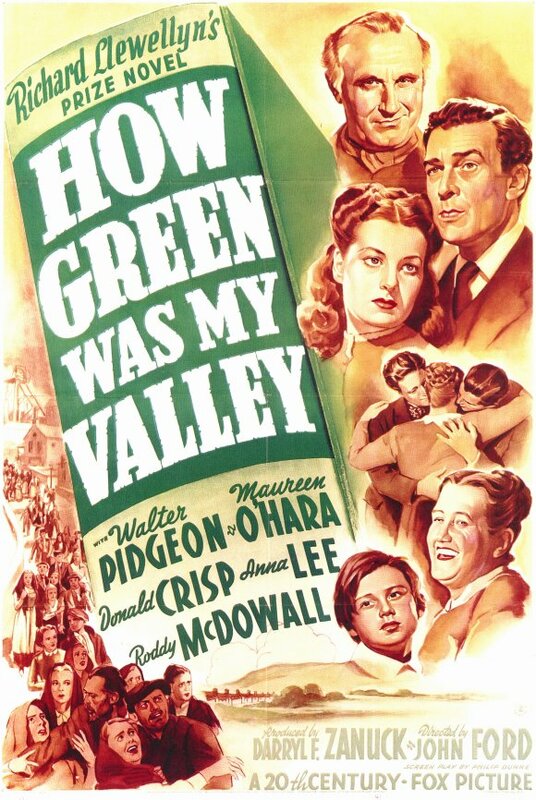 The victory of How Green Was My Valley over Orson Welles’s Citizen Kane for Best Picture is often regarded as the biggest oversight in Academy history. Indeed the latter is almost always considered to be the greatest film in the history of cinema. However, I found Citizen Kane to be a tedious, self-indulgent display of Orson Welles’s pomposity. How Green Was My Valley on the other hand is humble and full of heart, truly worthy of its Best Picture Oscar.